Gallery & Co is a retail and café concept inside of the National Gallery in Singapore. Management leverages SugarWiFi and Cisco Meraki Hardware to offer customers a seamless guest wifi solution while building a detailed customer database and leveraging analytics to better understand their customer base. Gallery & Co passively grew their customer marketing database through the implementation of SugarWiFi. A custom branded splash page was implemented with a form and facebook login. This allowed Gallery & Co to build a database consisting of customers names, emails, age, gender and social interests. The Retail and Café venue wanted to understand its customer needs and receive direct feedback to improve their business model. To accomplish this, SugarWiFi implemented a 3 question survey for Gallery & Co that customers were asked to fill out before being redirect to their e-commerce website. They asked wifi users if they would return for a second visit, how they could improve service, and how their experience rated from 1 to 5 stars. 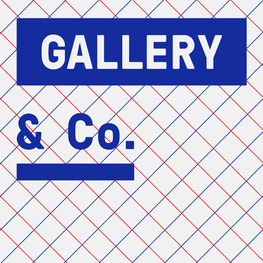 Guest Wifi is now available at Gallery & Co that redirects to their e-commerce website and promotes their events as well. The feedback from the seamless SugarWiFi survey has been positive. Over 4,500 SugarWiFi users filled out the customer survey implemented at Gallery & Co. On average 95% of customers said they would return for a second visit and over 90% of wifi users rated their experience 5 stars. In the first month, the retail space had over 500 people log into SugarWiFi. The following month the number of wifi users increased by 25%. The average time online is 2 hours per user. Gallery & Co has amassed a customer database of over 6,500 wifi users in a year. Hey Buddy!, I found this information for you: "Gallery & Co Retail WiFi Case Study". Here is the website link: https://sugarwifi.com/gallery-co-retail-wifi-case-study/. Thank you.